I walked toward my garden as a flock of birds shot into the sky. 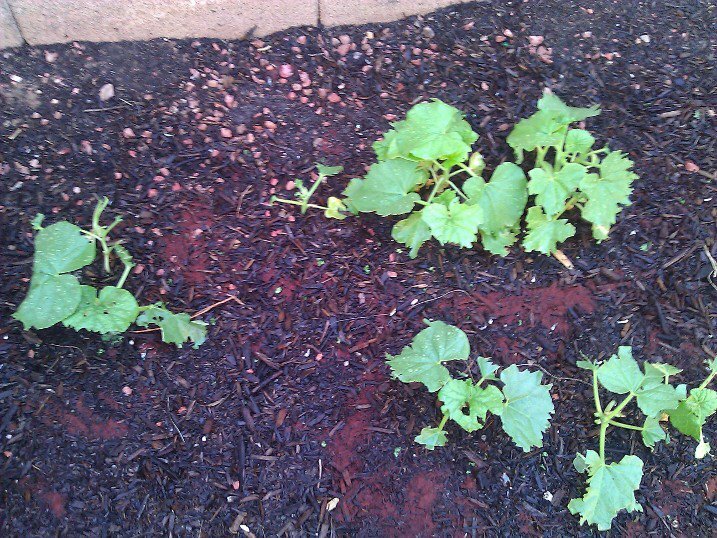 I hurried to find out what they were doing and my heart sank as I saw my new cantaloupe plants ravaged by sharp beaks. My first reaction was to go to the store and buy fencing wire or screens to protect the plants. Only problem was my husband was out of town for a week and my daughter was very sick, so leaving was out of the question. 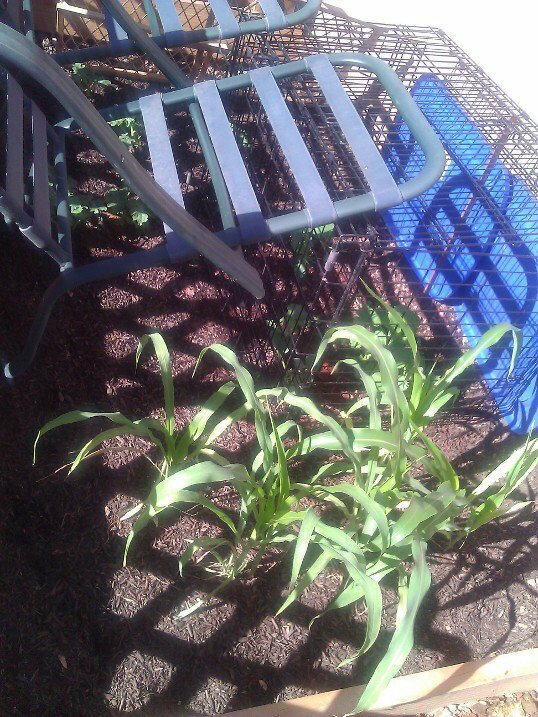 On the other hand, if I allowed the plants to go unprotected-even one more day-they would certainly die. I stood in the hot sun gazing around my yard trying to work out a solution. Finally, my eyes rested on the collapsible wire dog crate on the porch. I got to work breaking the cage down and hauling it to my garden. It was only big enough to cover the cantaloupe so I used some other yard items, plus an old baby gate, to surround the rest of the melon plants. The next day the vines had already begun growing new leaves. I didn’t have to buy anything (yet) and I successfully protected the young plants, though my method was certainly unconventional. Because I invested so much time and money cultivating my garden, I was highly motivated to do whatever it took to protect it. My spiritual garden is far more important than my physical garden, and I must do whatever is necessary to protect it from harm. Often that means using unconventional methods scoffed at by the world (and sometimes other Christians). Maybe I won’t eat certain foods, watch certain movies, read certain books, or spend money on certain items. Following an unconventional Jesus means making unconventional choices.